Theatre is a reflection of society. It shows the world its issues and makes people aware of how to fix them. Theatre not only tells stories of the past, but also shows us how to shape the future. 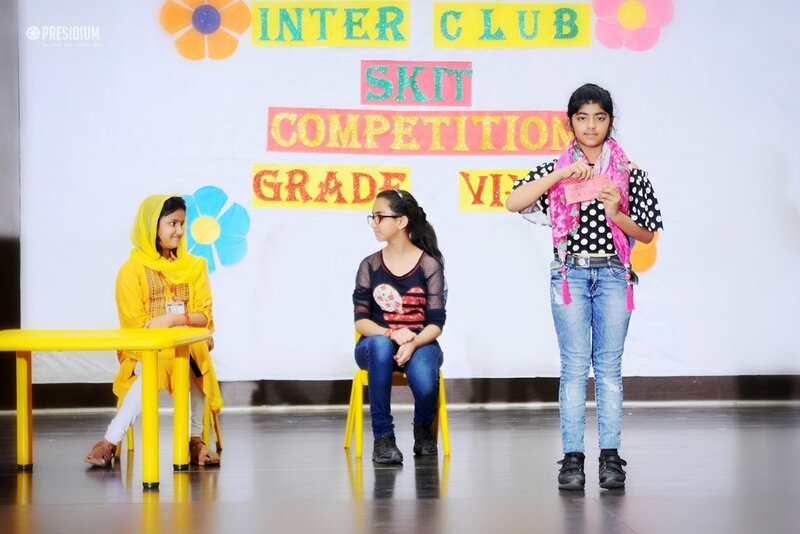 Keeping this thought in mind, an Inter-Club Skit Competition was organized at Presidium Raj Nagar. The Presidians belonging to six clubs - Leaders, Victors, Legends, Elites, Maestros and Supremes, showcased their respective piece of act meticulously. 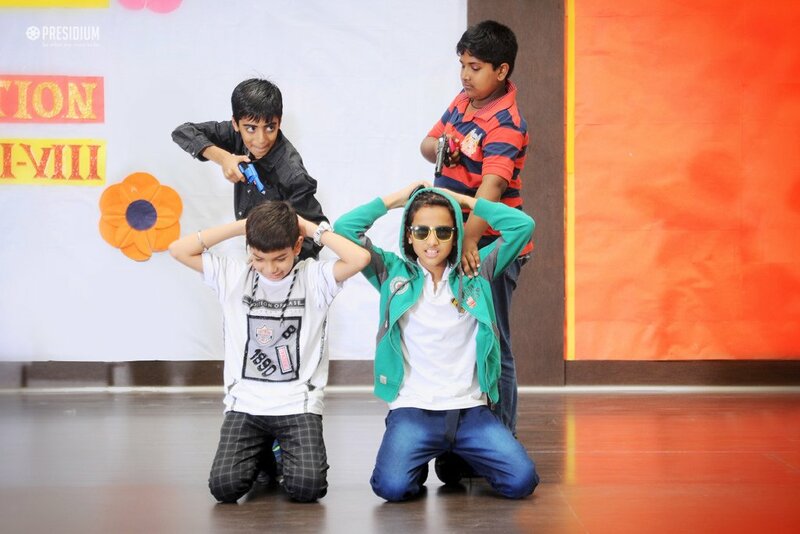 Each team had an interesting script to portray, which also imbibed human values in the audience. 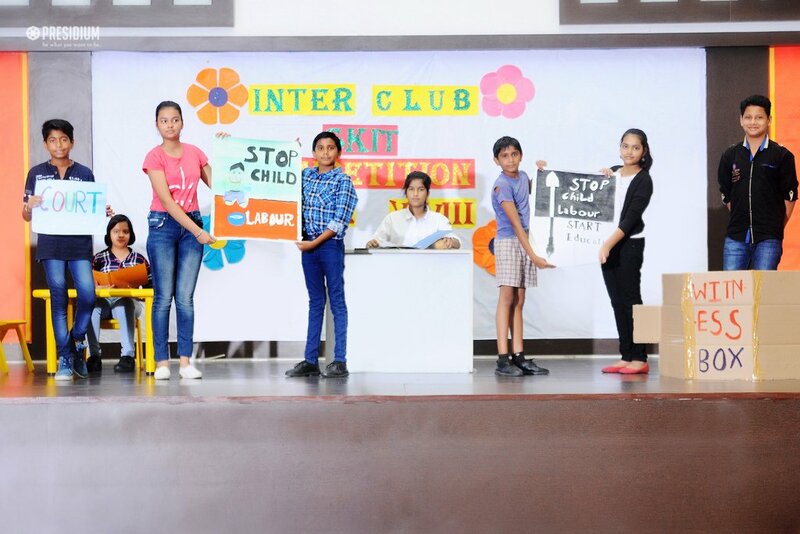 The skits dealt with various Global Issues like 'gender discrimination', 'child labour', 'violence against women' and 'technology - a blessing or curse'. It was a visual bliss to see them performing confidently with appropriate props. 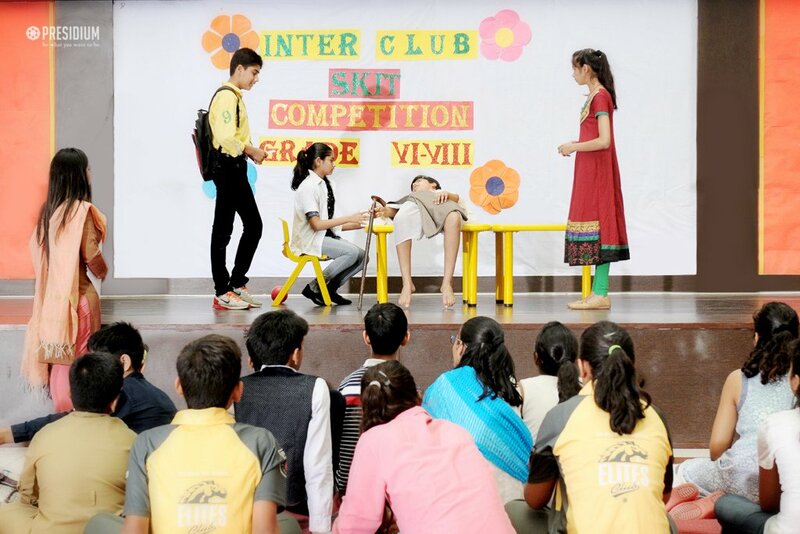 The skit was judged on the basis of concept, expressions, voice modulation, costume and props.